The complex includes 32 new and 14 remodeled apartments, a state-of-the-art Child Development Laboratory/Daycare, a Village Commons House, and a Sustainability and Environmental Studies (SENS) demonstration house which serves as a living laboratory for 4 students and as an outreach and education center. 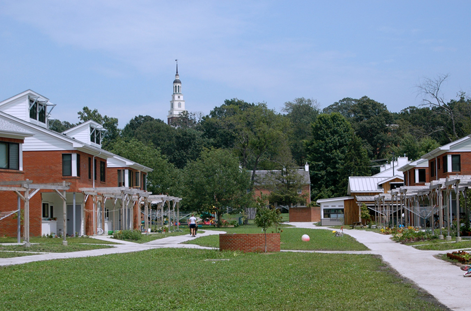 The Berea Ecovillage is currently the only college created Ecovillage in the United States. It is also the first known affordable housing project in the United States to use a Biological Waste Treatment System (Ecological Machine) to purify all grey and black water on-site. All of the structures were completed by the summer of 2004. 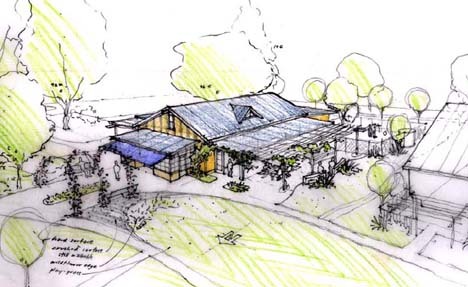 To accomplish these and other goals, the Ecovillage incorporates a wide range of green design elements including structural insulated panels (SIPS) for walls and ceilings, ground source heat pumps, passive solar heating, photovoltaic panels and wind-powered electrical generators. Roof-top capture of rainwater contributes to landscape irrigation and production of fruits and vegetables. On-site treatment of waste is accomplished through the Ecological Machine, which converts sewage to swimmable quality water (which is then used to flush the ultra-low flow toilets on the site), and through a composting toilet in the SENS house. The Ecological Machine, which is housed in a large greenhouse, is located in the front yard of the Child Development Laboratory/Daycare, making nature's processes visible to the residents at an early age. 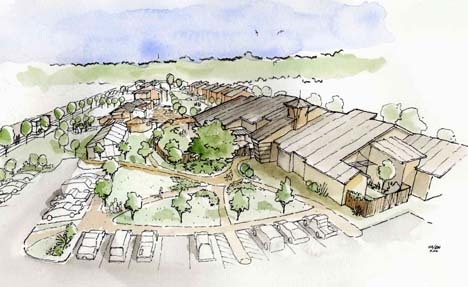 Wetlands, permaculture food forest, and individual gardens are other community features.